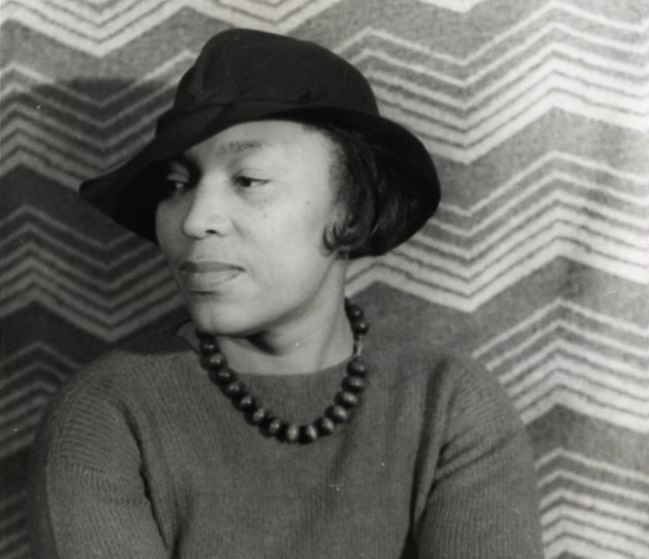 Portrait of Zora Neale Hurston, 1938, by American photographer Carl Van Vechten (1880–1964). Courtesy of the Library of Congress, Prints and Photographs Division, Van Vechten Collection. Hurston would never again achieve the kind of recognition she enjoyed during the early 1940s; she died in 1960 in relative obscurity and was buried in an unmarked grave. Her works were largely forgotten until the late 1970s, when a number of scholars and writers began rescuing them from oblivion after Alice Walker published an appreciation in Ms. magazine. The Library of America published the restored and unexpurgated text of Dust Tracks on a Road in 1995. Wait till I light up my coal-pot and I'll tell you about this Zigaboo called Jelly. Well, all right now. . . . If you don't see the full story below, click here (PDF) or click here (Google Docs) to read it—free!